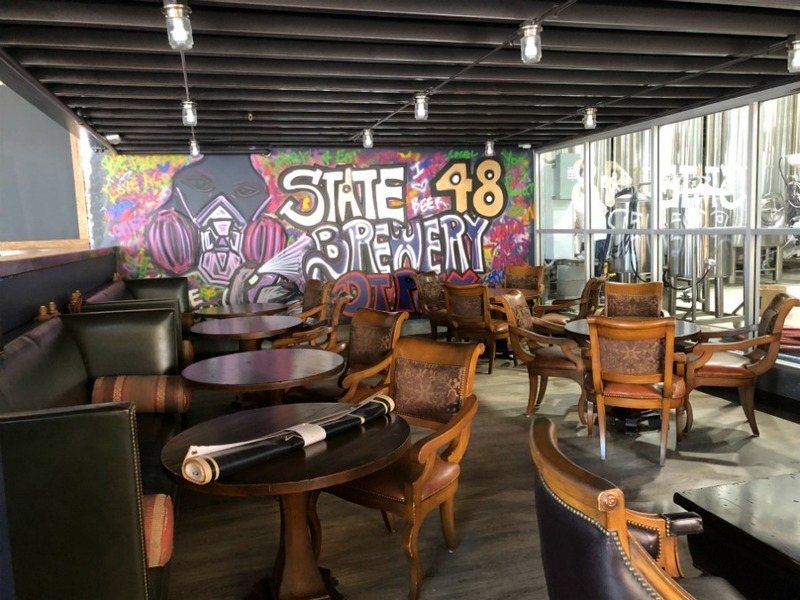 After a few delays, the long-awaited opening of State 48 Brewery's downtown Phoenix location is nearly here. The Surprise-based brewery will be within the historic Welnick Arcade Market and Liefgreen Seed Company building near Fourth Avenue and Van Buren Street, across from The Van Buren music venue. It opens at 3 p.m. on Tuesday, Sept. 25, said owner Mario Rana. 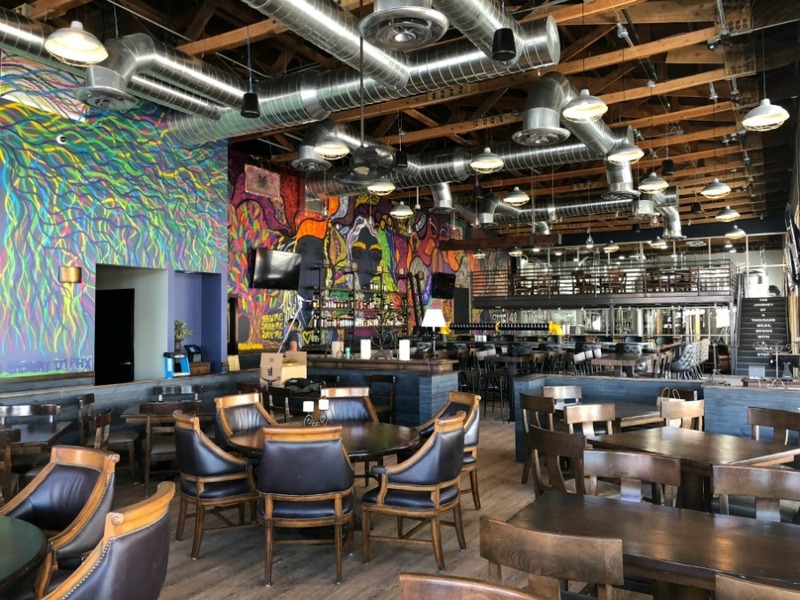 The 10,000-square-foot brewpub has a 22-seat U-shaped bar, 60 taps, a few community tables, a sunken lounge area that will house board games, a private party room, and an upper-level mezzanine that offers a direct view of the 20-barrel brewhouse. "I wanted people to see it [the brewhouse]. I know it's not picture perfect, but I think that's what people want to see,” said Rana. For him, it’s about the guest experience. 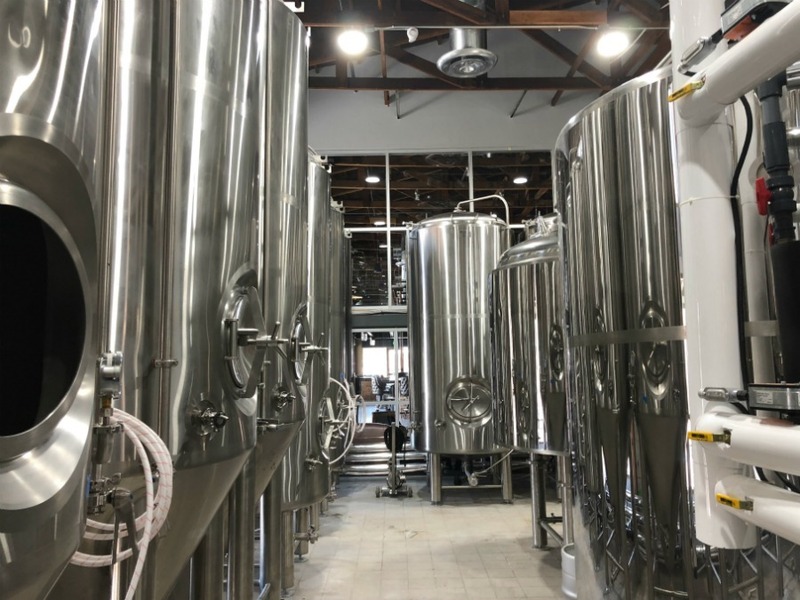 Floor-to-ceiling windows offer guests an elevated view of the fermenters, tanks, grinding mills, chillers, and other equipment needed to brew beer. The downtown Phoenix location will focus on State 48 Brewery's high-volume beers: its ales, IPAs, and hefeweizen. It is also one of the reasons the family-owned brewery has rapidly expanded this year alone. They also own Angela's Kitchen in Surprise. Demand for their beer, according to Rana, exceeded the production of their 10-barrel system at the Surprise brewery. In September, the brewery took over the former Tavern + Bowl space at Westgate Entertainment District. Now called, “State 48 Funk House Brewery,” it will eventually focus on sour and barrel-aged beers. The State 48 Lagerhouse is under construction near Frank Lloyd Wright Boulevard and Hayden Road in Scottsdale. The two-story brewery will focus on lagers and barrel-aged beers. That location is expected to open by the end of the year. With production moving to downtown, the Surprise location will be able to focus on some of the brewery’s smaller-batch beers: stouts and porters. All of State 48’s beers will continue to be available at each location, he said. The Welnick building was constructed in 1927. In 2016, it was officially listed on the National Registry of Historic Places. After the market closed in 1950, it reportedly was used as an indoor parking garage for an auto shop, housed a Chinese restaurant, a cleaners, and a print shop over the years, according to the application to join the National Registry of Historic Places . Part of its significance was the architectural aspects of the Spanish Colonial Revival, plus vertical slats on the facade, and overhang. During the 1960s, the overhang was reportedly removed and parts of the building were renovated, the application said. Today, parts of the building’s history remain. There are pieces of old brick visible near the ceiling, hidden behind layers of original plaster. The wood buttresses that lined the ceiling are original to the building, Rana said. Some old wooden studs were as shelves behind the bar. The overhang was added to reflect what it would have looked like back in the day, he said. Some of the furniture, including tables and chairs, were purchased from Sassi, the Scottsdale Italian restaurant that closed earlier this year. A graffiti-style mural runs the length of the dining room and bar area. It was painted by Valley artist Leila Parnian. Rana described the kitchen menu as “American comfort.” He said guests will find fish and chips, meatloaf, a hot chicken sandwich inspired by a visit to Nashville, and ribs. “We don’t just do what everyone else has — we create our own niche,” said Rana. He then proceeded to mention their peanut butter and jelly bacon burger and their beer cheeseburger. Rana says he's also looking to the future.